Generally, you know when a group is trying very hard to find support for their fringe beliefs when they have to find an insignificant court ruling in a small city in Italy. It’s like confirmation bias taken to the highest level of fallaciousness, trying to find that one irrelevant item that supports their pseudoscientific beliefs. In this case, it was a court in Rimini, Italy, a small city on the northern Adriatic coast. 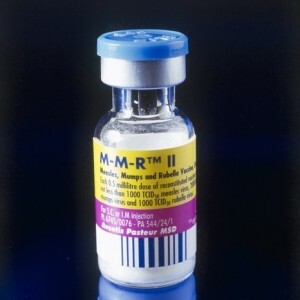 The court ruled that an anonymous child was diagnosed with autism about a year after receiving the MMR vaccine, which is a very safe vaccine that prevents mumps, measles and rubella, all diseases that are harmful to children. All of the court documents are in Italian, but a Francophone blog, roughly translated here, gives some details about the case. It was a local court that made its decision based on the testimony of one physician, ignoring documents from all of the major medical societies in Italy. Insanely, the court based much of its arguments on the debunked and fraudulent Lancet article foisted onto the world by Mr. Andy Wakefield. The court apparently ignored the vast body of evidence that shows that there is NO LINK between MMR vaccines and autism. There are many more articles that absolutely debunk the association between autism and MMR vaccines. It’s sad that all that money was wasted on research that was only necessary because Andy Wakefield decided to write a fraudulent article. Without a lot of information, it’s hard to know what the Italian was thinking or what was its logic. Maybe, because of the bad translation, there was more to the story. Furthermore, the Italian Ministry of Health intends to appeal the ruling. Italian courts may be the the epitome of great jurisprudence in Europe, that’s impossible to know. But courts make mistakes, as they do all the time in the USA, UK, or any other country. Also, judges are not experts in scientific inquiry, they are experts in law. Maybe the Italian Ministry of Health thought it was a laughable lawsuit and decided to not contest it as if it required all the medical and scientific resources in the land. But the vast body of research still doesn’t support any link between autism and MMR vaccine. So given that, the anti-vaccine conspiracists need to run to a small Italian court to get their evidence. Bring real science, and then let’s talk, but I hope that no more money is wasted on finding a non-existent link.